William Morris, later known as Lord Nuffield, was arguably the greatest industrialist of his time. 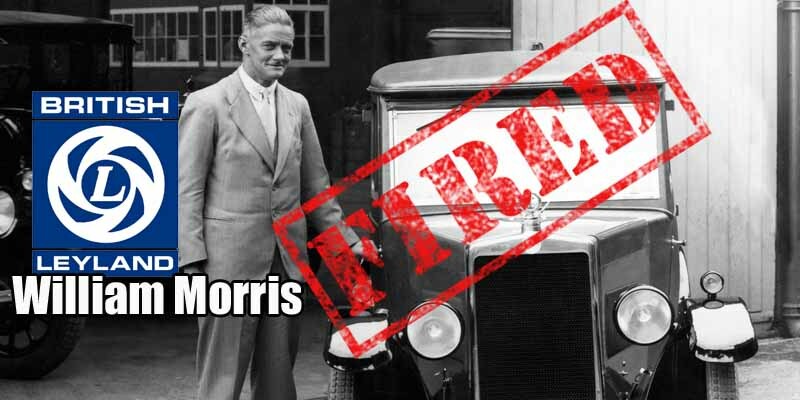 He founded Morris Motors, adding Riley and Wolseley, which together with Austin created the British Motor Corporation, forerunner of British Leyland. But despite his philanthropy and ambition, he was booted out as BL chairman in 1954 in favour of Austin’s Lord Leonard. Ouch.